This place we stayed was so nice – comfortable, a good location, interesting art. And the world’s best skylight! 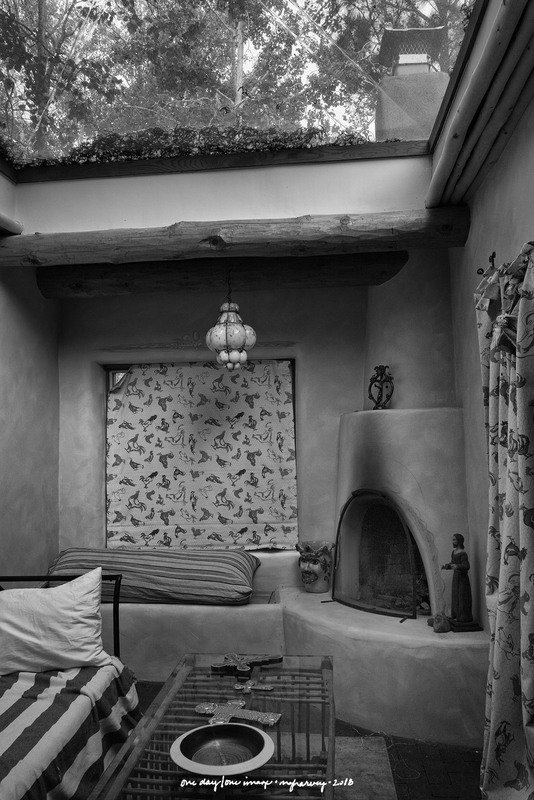 Posted on June 9, 2018, in Photography and tagged 365 photo project, architecture, black and white photography, interior design, learning to see, Leica, melinda green harvey, monochrome, one day one image, photo a day, photography, postaday, santa fe, skylight, thoughtful seeing, travel photography. Bookmark the permalink. 5 Comments. It was amazing – I’d like to be there in the winter so I could see the bottom of the snow on it. It was a great place – and I hope I can get a chance to go back there some day.